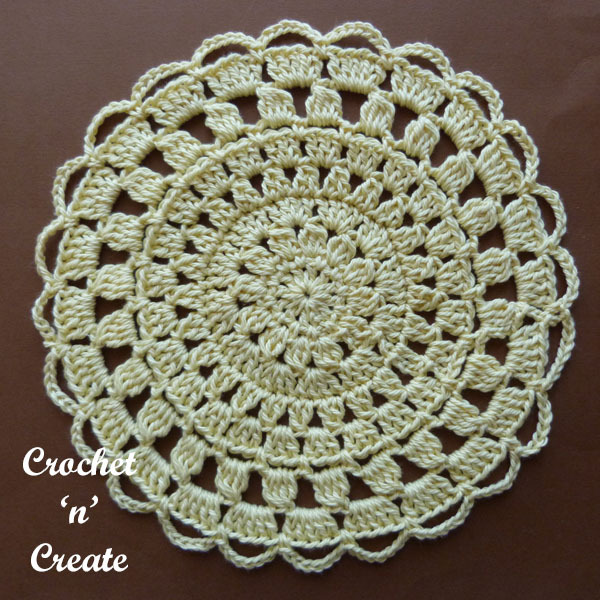 design and can be crocheted in two colors or a single solid color and will match any home decor. 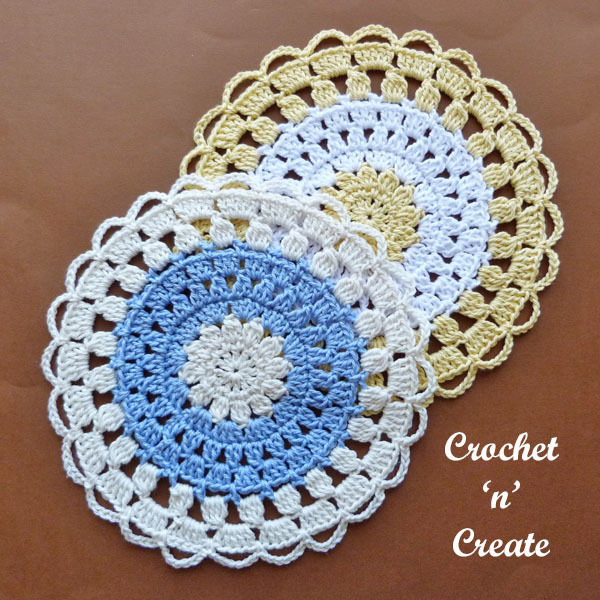 The free crochet pattern is written in USA and UK format, scroll down the page for both versions. 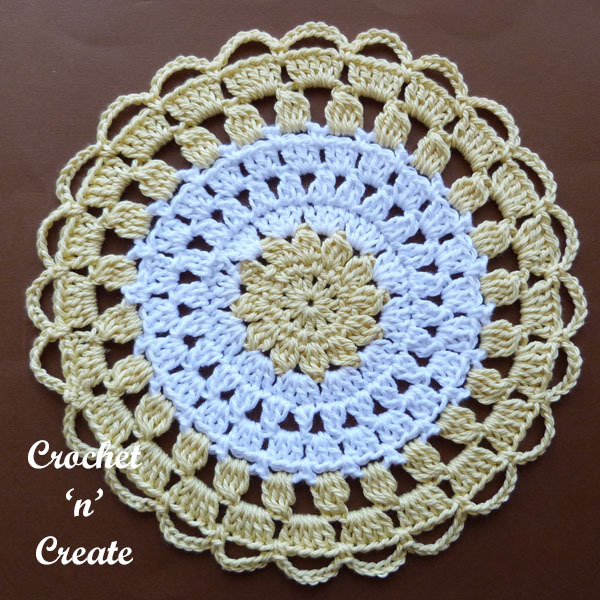 To see more of my free doily and mandala crochet patterns click on the links below. dc2tog. Leaving last loop on hook work 2dc in space, yo and draw through all loops. dc3tog. Leaving last loop on hook work 3dc in space, yo and draw through all loops. dc4tog. Leaving last loop on hook work 4dc in space, yo and draw through all loops. Made in rounds without turning. 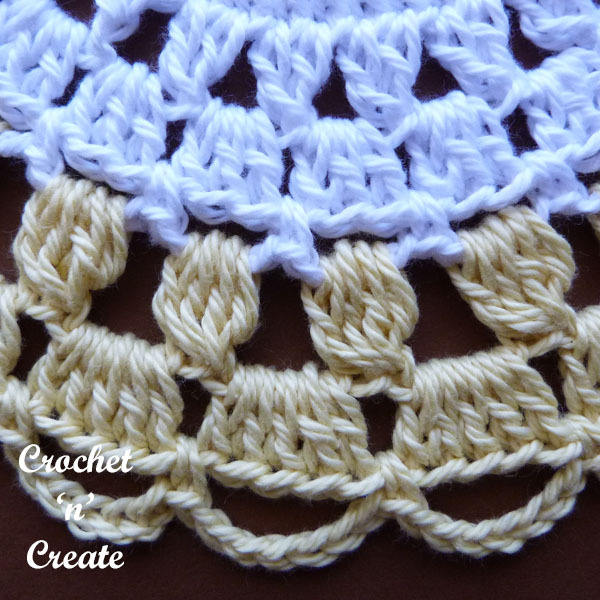 Finishing – Weave in and trim off any loose ends of yarn. tr2tog. Leaving last loop on hook work 2tr into space, yrh and draw through all loops. tr3tog. Leaving last loop on hook work 3tr into space, yrh and draw through all loops. tr4tog. Leaving last loop on hook work 4tr into space, yrh and draw through all loops. To print all of this page there is a PRINT button at the bottom of the post. 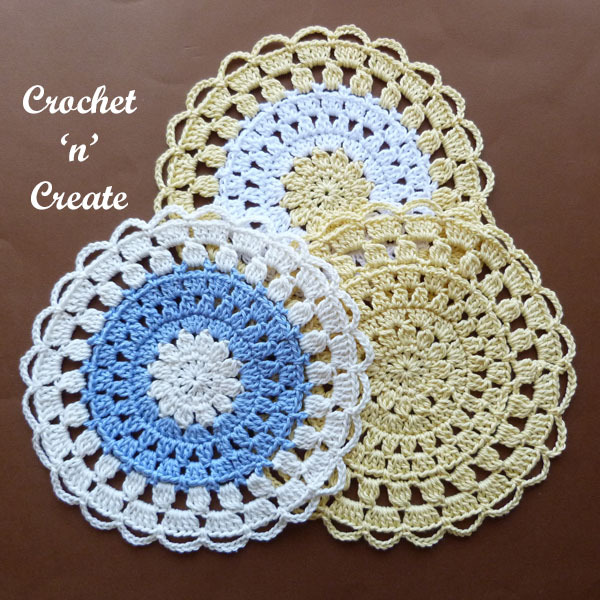 If you wish to print the pattern text only of the crochet cotton lace doily, select the content you want to print, click file (top left corner on browser), then print, this should take you to your printer settings, choose selection and then OK. 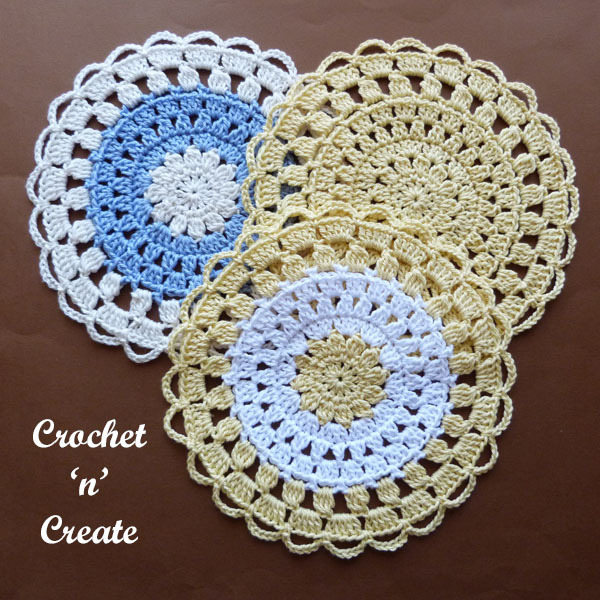 The written instructions and pictures for this crochet cotton lace doily free crochet pattern are copyrighted to crochet ‘n’ create © 2019. 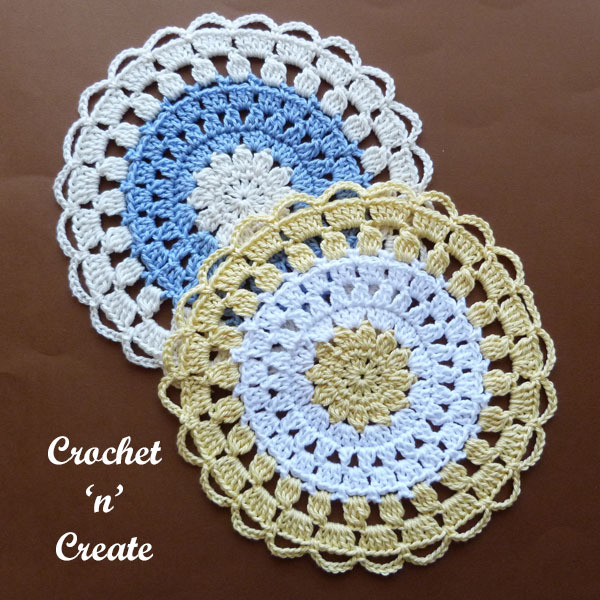 You are welcome to sell the finished products made from the crochet cotton lace doily free crochet pattern, I just ask that you please use your own pictures and put a link back to crochet ‘n’ create. 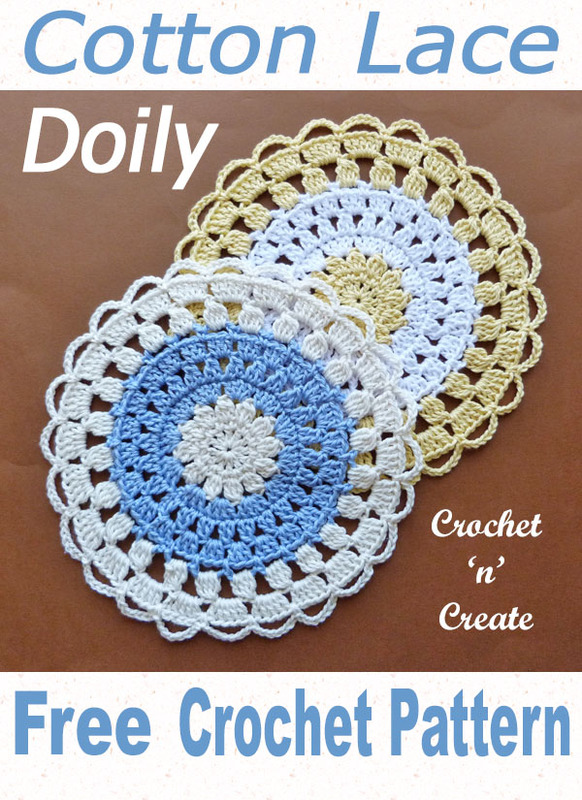 DO NOT share the written instructions for this crochet cotton lace doily free crochet pattern. 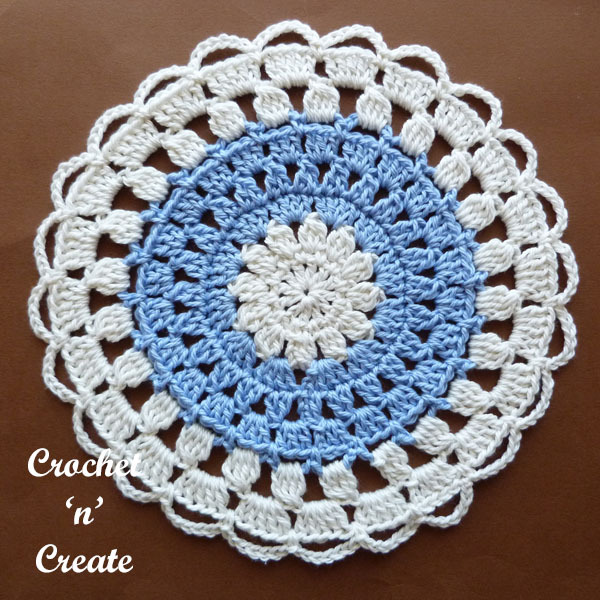 This entry was posted in crochet doily, crochet for the home and tagged crochet, crochet doily, crochet for home, crochet mandala on 30th March 2019 by crochetncreate.